A curtain of faceted cabochon stones in glimmering resin emerald fall in a stunning array across a cast gold chandelier frame on french hooks. The Roseanne earrings are the simplest way to add a pop of colour to your outfit and a little swing in your step. 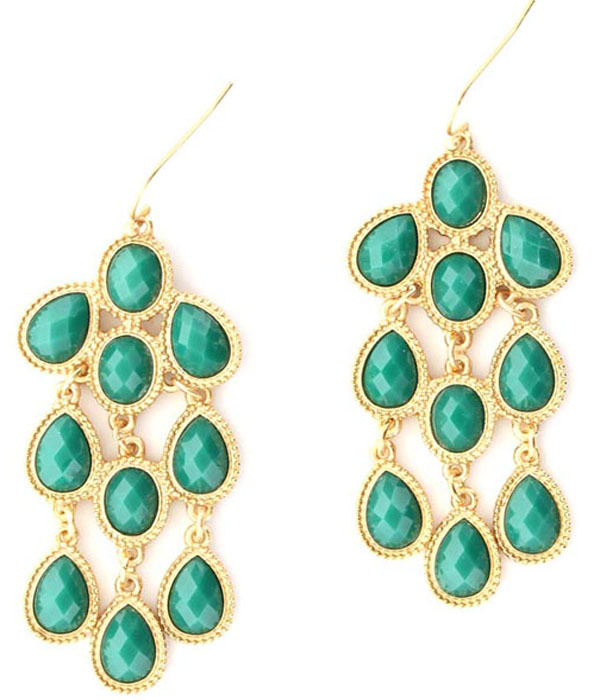 Shop from Australia's largest range of fashion earrings online here and now!